Seattle-headquartered Alaska Airlines is continuing the expansion of its Seattle hub with the announcement of new daily nonstop service to two Midwest cities starting in the spring of 2017. Alaska (NYSE:ALK) will add flights from Seattle-Tacoma International Airport (SEA) to Indianapolis International Airport (IND) and Wichita, Kansas’ Dwight D. Eisenhower National Airport (ICT). 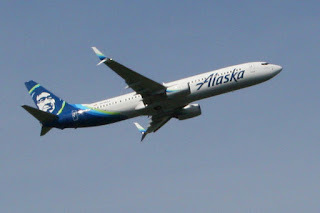 “With the addition of nonstop service to Indianapolis and Wichita, Alaska Airlines now offers nonstop service to a total of 89 cities from Seattle – more than twice as many as any other airline,” John Kirby, vice president of capacity planning at Alaska Airlines, said in a statement announcing the new service. In addition, Alaska is the only airline to fly nonstop from SEA to 35 of those destinations, the carrier said. Flights from SEA to ICT will commence April 13, 2017. Daily flights will depart SEA at 11:55 a.m., and arrive at ICT at 5:13 p.m. Return flights will depart Kansas at 6:10 p.m. and arrive on the West Coast at 7:55 p.m., local time. The flights on the Seattle-Wichita route will use 76-seat E175 jets, operated by SkyWest Airlines. Planes feature 12 First Class seats, 12 Premium Economy seats and 52 standard economy seats. According to SeatGuru.com, First Class seats are 21 inches wide with 36 inches of pitch while standard economy seats are 18.25 inches wide with 32 inches of pitch. Daily flights from SEA to IND will start May 11, 2017 with outbound flights leaving Seattle at 9:55 a.m., and arriving in Indianapolis at 5:10 p.m. Return flights depart IND at 6:10 and arrive in Seattle at 7:50 p.m., local time. Flights on the Seattle-Indianapolis route will be aboard a Boeing (NYSE:BA) 737. Alaska operates 737s in five configurations, including a “combi,” a combination passenger and cargo aircraft used primarily in Alaska. Of the remaining four configurations, First Class seats are 21 inches wide with 36 inches of pitch while standard economy seats are 17 inches wide with 32 inches of pitch, according to SeatGuru.com. Onboard the 737s, customers will be offered free and premium entertainment downloaded direct to customer devices, Pacific Northwest-inspired food and beverages, as well as custom leather seats with power outlets at each seat, the airline said. The new routes provide links from the Midwest to the West Coast, including increasingly important tech hubs. With the new routes, Alaska will operate 20 daily flights to nine Midwest cities: Chicago (ORD); Detroit (DET); Indianapolis (IND); Milwaukee (MKE); Minneapolis-St. Paul (MSP); St. Louis (STL); Omaha, Nebraska (OMA); Kansas City, Missouri (KCI); and Wichita, Kansas (ICT).